With the Closing the Achievement Gaps Initiative, the NEA Foundation worked with local union, district, and community leaders to improve achievement rates for students in under-resourced communities. Over 12 years, seven union-district-community partnerships participated in the NEA Foundation’s $13.7 million Closing the Achievement Gaps Initiative. Although each district faced different challenges and developed different solutions, one factor was consistent: successful union-district-community collaboration resulted in improved student learning, greater teacher satisfaction, and deeper parent engagement. Read the full report on our Closing the Achievement Gaps Initiative to discover what we learned about improving learning conditions for more than 200,000 students. Want to learn more about the Gaps initiative? 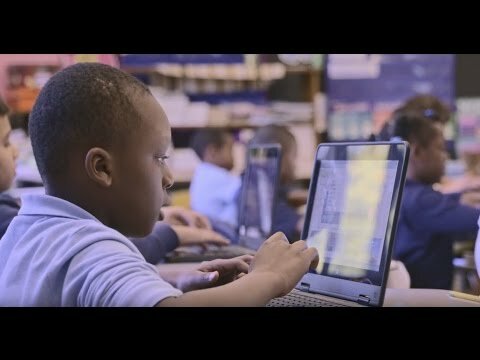 Watch how this program transformed teaching and learning. Check out the issue briefs and reports we have published and shared over the years for an engaging snapshot of impactful features of the NEA Foundation’s collaborative partnerships.